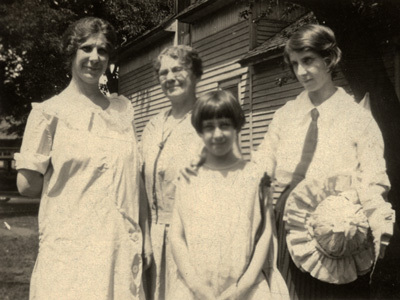 Inez Sexton, Phoebe Moment, Donna Sexton, Dorothy West (left-right), Sumner, Iowa, circa 1920. Karl and Mardy Mardorf, Chris and Donna Mardorf (left-right), Hattiesburg, Mississippi, August 31, 1947. Mardy and Donna Mardorf, Sumner, Iowa, 1938. Mardy Mardorf, Tim Sexton, Matt Sexton, Mary Sexton, Theresa Sexton, Pat Sexton, Chris and Donna Mardorf (left-right), Sumner, Iowa, circa 1956. Mardy, Chris and Karl Mardorf (left-right), Pearl River, Louisiana, circa 1950. Mardy and Donna Mardorf, Loretta and Russ Brown (left-right), Nashville, Tennessee, circa 1942. Russ and Loretta Brown, Donna Mardorf (left-right), Cedar Falls, Iowa, circa 1938. E.C. Mardorf and Donna Sexton, Sumner, Iowa, 1929. Mardy and Donna Mardorf, Sumner, Iowa, circa 1937. 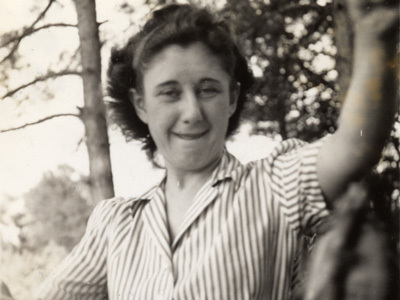 Donna Sexton in striped dress, circa 1938. E.C. Mardorf with ukulele, Sumner, Iowa, circa 1929-30. Joe and Donna Sexton (left-right), Sumner, Iowa, circa 1920. Dan Sexton, Mike Sexton, Tom Sexton, Chris Mardorf (left-right), Cleveland, Ohio, 1952-54. Baby Karl and Donna Mardorf, Sumner, Iowa, circa 1944. Olga, Carl and Ruth Mardorf (left-right), Sumner, Iowa, July, 1942. Baby Karl and Mardy Mardorf, 1945. Donna Mardorf resting on couch, circa 1939. Mardy and Donna Mardorf, circa 1939.